TAnother one I found on Netflix. This one I found entertaining but there is so many simiar out there that was done so much better. I can definitely see myself watching it again but not one I would have in my yearly must sees. While I liked most the characters... some did get on my nerves a bit. Luckily most of them only had small parts. This is one i found on Netflix. 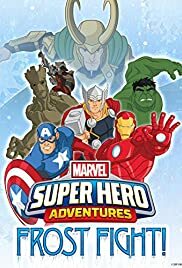 On one hand I liked all the characters tjhey used for this animated short or episode of a series... not sure which it is. I especially liked seeing Captain Marvel. It is the first thing I have seen her in. Giving me a look into what kind of character she is. Now I am looking even more forward to the movie coming out. But on the other hand I really didn't care much for the story line. It just didn't feel good enough. Though I do realize I am not the target demographic and that is most likely the reason there. I just expect more from Marvel with all the films. 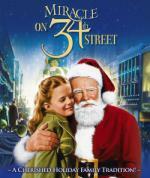 Miracle on 34th Street is an irresistible fable that has, for many years, become synonymous with celebrating Christmas. And now this three-time Oscar®-Winning* role is as resplendent as the holiday itself in an all-new Blu-ray version that's sure to delight fans old and new! The holiday season is in full swing when a cultured gentleman with twinkling eyes, an ample belly, and a snowy beard (Edmund Gwenn) is hired as Macy's department store Santa. He claims his name is Kris Kringle, and soon fills everyone with Christmas spirit....except for his boss, Doris Walker (Maureen O'Hara), who's raising her daughter (Natalie Wood) to not believe in Santa. But when Kringle is declared insane, and put on trail, everyone's faith is put to the test as young and old alike face the age-old question. Do you believe in Santa Claus? Several years ago a good friend of mine gave me this movie. At the time I never seen it before. Now I make sure to see it every year around this time... and I am enjoying it more with every viewing. 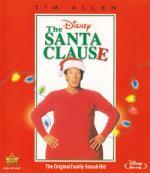 This is a true holiday classic! This is one of the very few movies that I don't see a way that it could be any better. If you never seen this classic '40s Christmas movie... You should be sure to watch it as soon as possible... I don't believe you will be sorry. I highly recommend it! Keeping the tradition alive... I always watch the movie when I first start to wrap Christmas presents. This has always been one of my favorites. I have watched it every year since it came out. 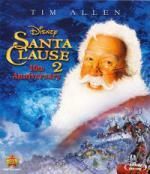 It just does not feel like the Christmas season until I watch this film. In my opinion... everyone should watch this one at least once. I think it is a fun film for everyone in the family. Highly recommended! I really can't watch the first one with out watching part 2. This is a fun sequel. I enjoyed it quite a bit... though it isn't as good as the first part. I liked the whole story line of making him get a wife and all. I just didn't care much for the idea of having a toy Santa taking over the North Pole. But over all well worth the time put in to watch it. It's a week before Christmas, and Paula (Nicole Eggert) is struggling with bills, life with her blue-collar husband Gary and her two daughters. So when Nick, her high school boyfriend, returns to town a wealthy art gallery owner, Paula begins to wonder where she would be if she stayed with him, and not Gary. 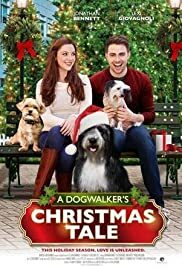 When Paula makes a holiday wish to see what life would have been like had she made another choice, she is magically transported through her washer/dryer to a parallel life where she is Nick's wife. At first, this other life seems the answer to her dreams, as she shops and dines out with her new found wealth. But she soon realizes that the grass is NOT always greener on the other side. Her relationship with Nicks is in shambles, and she misses her real husband Gary and her two girls. When she sees Gary and her kids living a happy life with another woman, she wishes for just one more Christmas gift - to have back the life she didn't appreciate. This is one I never seen before Gen bringing it home to me from work the other day. A decent enough flick... but no more then average. The characters really wasn't that likable and the story line needed work. I mean come on... a magical dryer causes her to live the life she would have had if she stayed with an old boyfriend. Definitely not one to be put in my yearly line-up.